One hundred years after the widespread fatalities of the 1918 flu pandemic, influenza is still a serious and deadly disease, says professor Christopher Brooke. Flu shots and new antiviral treatments could help thwart another pandemic. Editor’s note: Fall 2018 marks the 100-year anniversary of the 1918 influenza pandemic, which infected roughly one-third of the world’s population and killed more than 50 million people, including 675,000 in the United States, according to the Centers for Disease Control and Prevention. 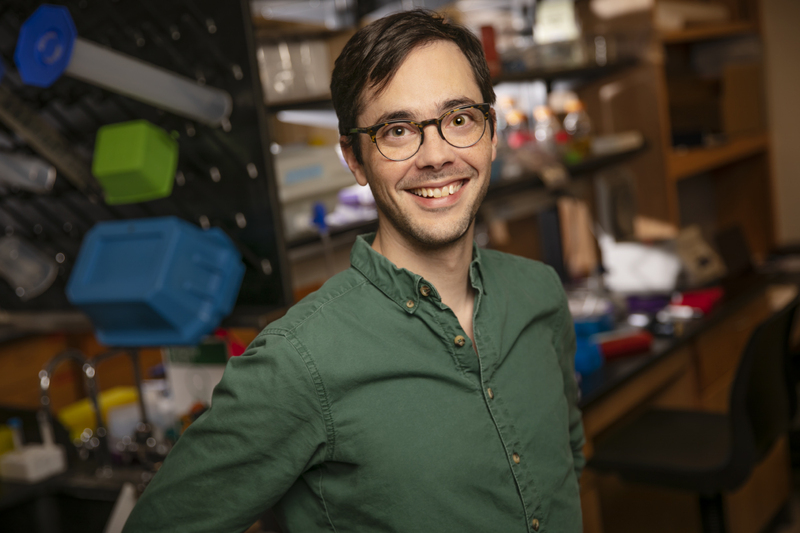 Influenza still has no cure today, but newer vaccines and anti-viral treatments could help thwart another deadly outbreak, says University of Illinois microbiology professor Christopher Brooke. An expert in the influenza virus and how it adapts, Brooke discussed the severity of influenza today and how the flu shot works in an interview with News Bureau biomedical sciences editor Liz Ahlberg Touchstone. It seems like everyone gets the flu in winter, and we don’t see effects like in 1918. What’s the big deal? Does it still pose a danger to us today? Many mild, noninfluenza infections get referred to commonly as “the flu,” leading many to think of the flu as being pretty mild. Influenza infections can be mild and mistaken for a common cold, or they can be very severe or even lethal, especially in the very young and very old. For example, infection of pregnant women often leads to severe infection and loss of pregnancy. Tens of thousands of people are killed, and tens of billions of dollars are spent in the U.S. every year due to influenza. The best estimate is that in last year alone, about 80,000 people died in the U.S. from influenza infections. Could a pandemic like the one in 1918 happen today, or would modern medicine counter it? The potential for another catastrophic influenza pandemic remains very real. Our understanding of the virus and ability to detect it are much greater than in 1918, so we are better able to effectively impose quarantine and other measures to minimize its spread. However, the world is much more interconnected than it was in 1918, allowing viruses to spread across the globe much more rapidly than they could a century ago. What’s in the flu shot? Why should I get one? The flu shot contains fragments of the four strains of influenza virus thought to be circulating in humans this year and teaches your immune system to recognize and protect you against those viruses. Everyone should get the vaccine because it both protects you from getting sick, or at least lessens the severity of infection, and prevents you from transmitting the virus to other people in the community. This is especially important because the consequences of infection can be very dire for many people – for example, the elderly, pregnant women and people who are being treated for cancer. I got the flu shot last year and still got sick. How effective are the shots at preventing infection? Flu shots do not always prevent infection, but they do always limit the severity and duration of infection and the potential to transmit to others. Also, a lot of people get sick from other viruses and bacteria during flu season. Just because you got sick doesn’t mean that the vaccine didn’t protect you. Why do we have to get new flu shots every year? With other vaccines, once is enough. We need new vaccines every year because the virus is continuously evolving. The virus that circulates next year will be different from the one that you get vaccinated against this year. For reasons that we do not understand, other viruses that we target with vaccines are not as good as the flu at evolving to outrun our immune systems. How can new treatments like Tamiflu help? When should someone seek them? Tamiflu, and the newly approved drug Xofluza, can limit the duration of infection if given early. If you have any risk factor for influenza infection – either under 2 or over 65 years of age, pregnancy, weakened immune system or chronic disease – and develop flu-like symptoms, call your doctor. Editor’s notes: To contact Christopher Brooke, email: cbrooke@illinois.edu.